Our fresh dry roasted peanuts ground into peanut butter - nothing else added. 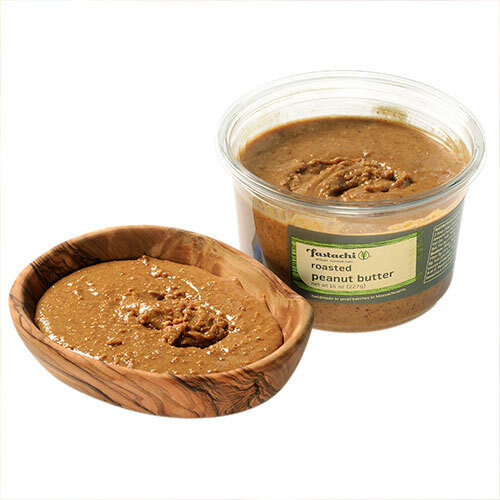 Our fresh dry roasted peanuts ground into peanut butter - nothing else added. 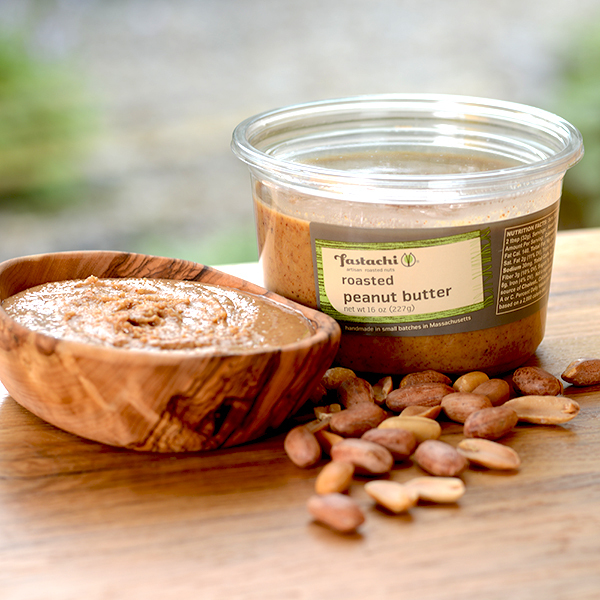 The freshness is incomparable; the nuts are roasted within 1-2 days of grinding them into nut butter, and are ground into butter shortly before shipping. 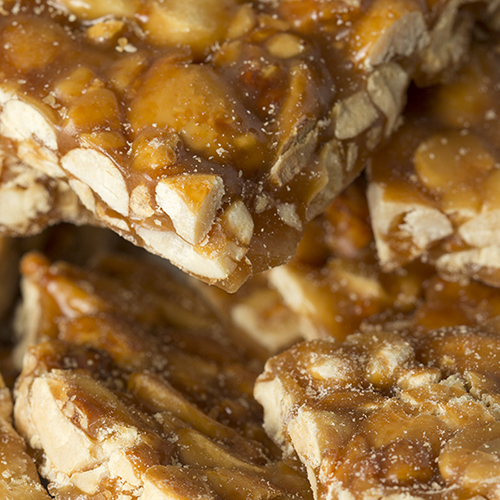 The crunchy texture with little bits of peanut only intensifies the experience. 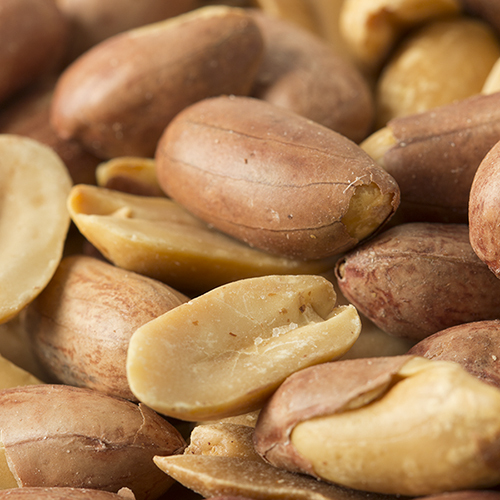 Peanuts contain the highest amount of folates compared to other nuts; folates are essential for brain development. Peanuts are also high in Vitamin E. Peanuts promote a healthy pregnancy because of the high folates which help reduce the risk of birth defects. 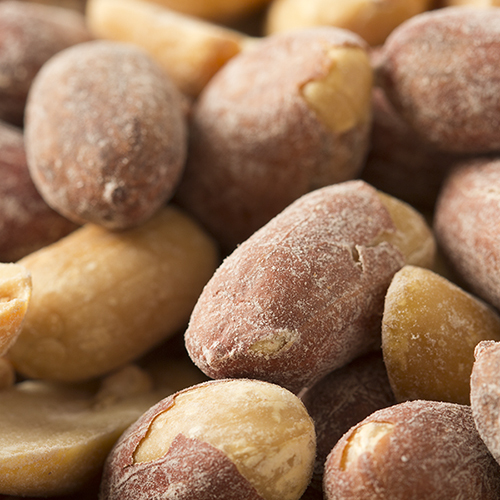 Peanuts also boost memory, help fight depression, and reduces the risk of heart disease. NUTRITION FACTS: Serv. Size: About 2 tbsp (32g). Servings: About 14. Amount Per Serving: Calories 200, Fat Cal. 140, Total Fat 16g (24% DV), Sat. Fat 2g (11% DV), Trans Fat 0g, Sodium 30mg (1% DV), Total Carb. 7g (2% DV), Fiber 3g (10% DV), Sugars 1g, Protein 8g (15% DV), Iron (4% DV). Not a significant source of Cholest., Vitamin A, Vitamin C or Calcium. Percent Daily Values (DV) are based on a 2,000 calorie diet. INGREDIENTS: ROASTED PEANUTS, AND A TOUCH OF SALT. The best peanut butter ever! I love the taste and texture. Most natural tasting peanut butter I have found. If you like a natural tasting peanut butter then this is it.